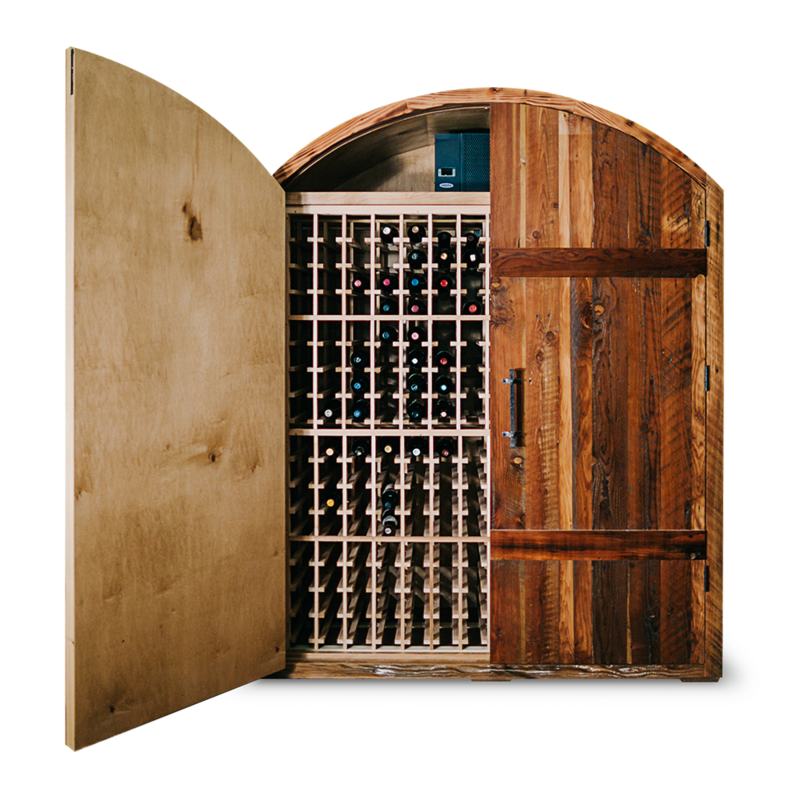 Hands down, one of the best parts of designing custom wine cellars is creating pieces to suit our customers' interior design style. We’ve been on site for installations of custom wine rooms in custom homes in the mountains in Park City, Utah, designed wine bars from 100-year-old barn wood for an estate in Oregon’s Willamette Valley, and most recently we designed this custom Credenza for a traditional home in Midlothian, VA. 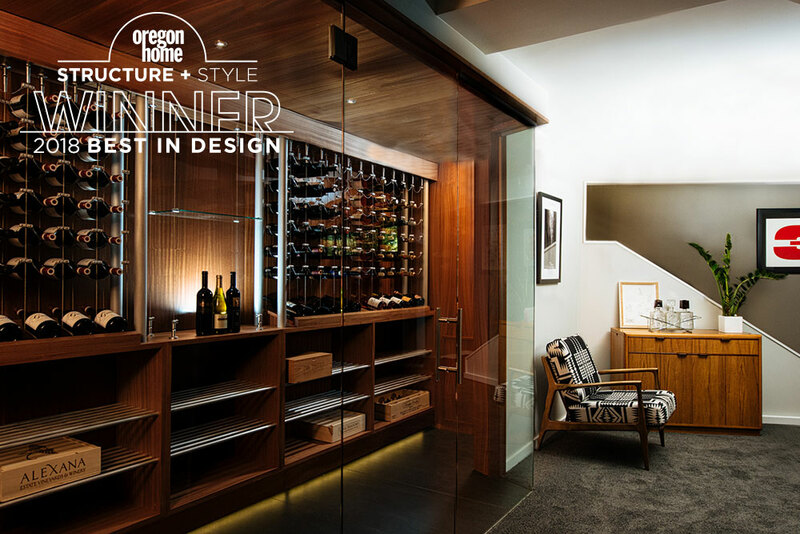 When we’re working on a fully built-in wine room, we’re often matching existing cabinetry and finishes to complement the architecture of a home. With a stand-alone wine cellar like this Credenza, we can style it just like a furniture piece and the style doesn’t necessarily need to “match” the home, but it should complement the architecture, furniture and style. With this modern Credenza headed off to a traditional home, we wanted to share some tips on mixing the two interior styles. When pulled off correctly, blending traditional and modern pieces can create a unique and stunning look, and can allow you to work in those family heirlooms without recreating your grandmother’s tea room. This freestanding Credenza wine cellar is headed off to our client’s home in Virginia. You can pick either traditional or modern as your primary look, but avoid mixing the styles too evenly, which will create a room with an identity crisis — go for either traditional with modern accents, or modern with traditional accents. If you want a traditional look, keep your focal furniture pieces in that style and add tables, art and lighting accents in a modern style. If you want a modern aesthetic, keep most of your pieces modern, but look for statement traditional pieces like a sofa, mirror, chandelier, art or ceramics to mix in. Modern art and a simple, neutral palette lend a modern look to this traditional home. A more traditional rug choice softens up the sparse feel of this modern farmhouse. There are always exceptions to the rule, but in general, both traditional and modern sofas and chairs look great with modern coffee, cocktail and side tables, like our Credenza and Brock models, while pairing a traditional coffee table with a modern sofa tends to be harder to pull off. Traditional shapes like rolled-arm sofas and armchairs look both fresh and timeless when reupholstered in a bold pop of color. Using modern or contemporary colors on a traditional piece is a much easier win than using traditional patterns on a modern piece (imagine a toile print on a mid-century modern sofa — it just doesn’t work), but textiles like rugs and curtains are a great way to bring a traditional style into a modern room. Your overall palette, and how you use color everywhere from your walls to your accents will have a huge impact on the feel of a room. If you have ornate molding, inset panels, or other traditional details, choosing a more sparse palette and keeping furniture and accessories within it will lend the room a more modern feel. If you’re starting with a modern space, try adding texture with a turned curtain rod or coat rack, and richer patterns like an Oriental rug or woven pillows in luxurious fabrics. Grays and indigos with a few touches of warm wood tones create a moody, masculine feel in this industrial space. Modern and traditional forms come together in this eclectic, jewel-toned living room. The best part of creating an eclectic mix of two or more styles is that you can add or remove art and accents over time to evolve the look without sacrificing focal pieces, like a designer sofa or a handmade wine cellar. And remember, there’s no formula for success — the most beautiful rooms, and the ones you’ll want to spend time in, are the ones that reflect your style and stories.